Valeur Foundation is a non-profit association which supports humanitarian initiatives, focusing on culture, people, local sports associations, and animals. Our foundation’s work aims to assist people in need and is always carried out with the support of a local referent who directly deals with the communities and their related projects and initiatives. After strong consideration, Valeur Foundation chose 4 local partners to collaborate and establish a relationship with. Every year, through a careful selection process, we sponsor various projects whose developments we actively follow to best manage the available resources and ensure they are used for those who need them most. WWB Ticino is a Swiss registered non-profit organization running a number of programs that support orphans and rural communities in the periphery of Nairobi, Kenya. Their mission is to inspire and invoke hope in as many children as possible and to work with small communities to provide the support and education needed to overcome the burden of poverty. WWB Ticino, through its supporters and friends like Valeur Foundation, have financed the construction of a well, a dorm, a primary school, as well as the purchase of food, school uniforms, mattresses, shoes, cows, tools, medical care, and numerous other essential goods. In addition to funding for small infrastructure projects and helping families in the suburbs, WWB Ticino promotes long distance adoptions: a secure method to provide concrete and effective assistance to children who would otherwise be left to themselves. Currently WWB Ticino has sponsored 29 children, ranging from ages two to seventeen, delivering them the opportunity to get an education and continuous support. The members of Valeur Foundation are in constant contact with WWB Ticino, local associations, and orphanages to closely follow the ongoing projects, including visiting Kenya at least once a year. La mensa e il gregge – a member of The Swiss Italian Federation of Non-Governmental Organizations – is a Swiss association founded in 2004 whose work is focused in Mongolia. The organization works to sustain Mongolian farmers and students of nomadic families who have decided to live freely on the land of their ancestors and not in the capital, Ulaanbaatar. In the next two years, the organization will further develop the “nomadic families project”, extend the scholarship program, provide further assistance to underprivileged families, develop the free bookstore project, grant micro-credits to young artisans, and lastly construct a kindergarten in Kuhk Khutel. Kuhk Khutel is the westernmost village in Mongolia, near Kazakhstan, where the organization is present and active since 2008. This is the third kindergarten built after the first two in Bayangol and Ulaangom, and it will operate specifically for children of nomadic families. 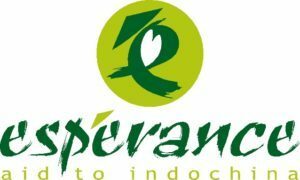 Espérance ACTI is a Swiss humanitarian organization founded in Balerna in 2000 with the purpose of helping the Indochina population, a region in South East Asia comprised of Vietnam, Cambodia, and Laos. Espérance brings assistance to poverty-stricken and remote villages which are often deprived of electricity and can only be reached through rudimentary boats. These villages are fascinating places where the signs and consequences of the war are still visible and tangible. Partnering with local organizations and institutions, Espérance ASCTI aids the local population by financing the construction of schools, kindergartens, bridges, water wells, nursing homes, and clinics. Espérance ACTI has made several heart surgery and cataract operations in the region possible thanks to the numerous contributions of donors. SPES Onlus is an association founded in Parabita, a town near Lecce in the region of Salento, Italy. The association is comprised of a group of volunteers who dedicate themselves to protecting and promoting the health and welfare of all dogs, including strays. The group believes in transparent management of shelters, being open to volunteers, and protecting the rights of these disadvantaged animals. Valeur Group promotes sports because we share the similar values of teamwork, honesty, and integrity. Sports are often a force of social empowerment and an engine for equality. Physical activity is vital to the holistic development of young people, helping them foster their physical, social and emotional health. Soccer is a truly global sport and consequently has always been an important part of Valeur’s sponsorship portfolio. 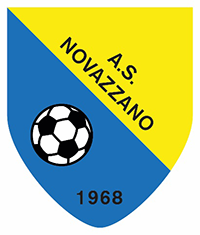 Valeur is the proud sponsor of AS Novazzano 1968, a Swiss soccer club based in Ticino, Switzerland. During the last season the club won the regional secondary league and has been promoted into the primary league. Novazzano invests substantial resources and energies to form talented young players. The Club is part of a notorious youth programme named LAN (Ligornetto-Arzo-Novazzano), comprising of about 200 young players from 6 to 18 years old. Valeur Group is the proud sponsor of Lugano Rebels, an American football club based in Ticino. 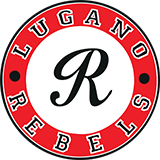 Currently the club plays in the Swiss Series C.
Lugano Rebels were only recently established in 2015 in Lugano. In 2016 the team proved to be very competitive, reaching the second place in the Swiss Series C.
“WIN the League” is the watchword for the next season.